So I tried to do cute nail art... note the word "tried", for Easter... but alas, it looked better in my mind. 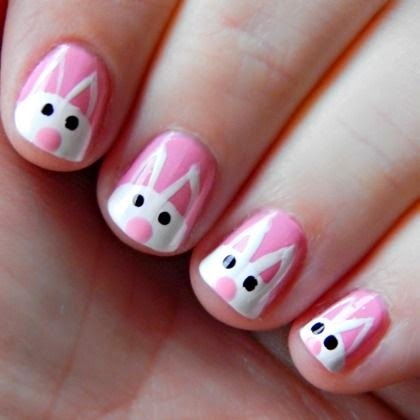 My girls love having their nails done so when I saw these sweet bunnies I decided to give it a go. Then I did Maclayne's nail..yep 1 nail.. I'd learned my lesson by then! She smudged it pretty much immediately after the photo..sigh! Then I tried to do a better job on me.... yeah, it didn't work like that! They turned out so cute!!! I love that they are asking you to do it again and again. :) come to think of it...I'm in need a mani....wanna fly out and help a sister out?